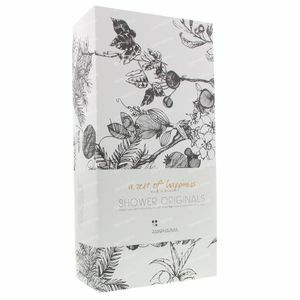 Rainpharma Shower Set A Zest For Happiness Medium 1 item order online. a fresh, citrusy scent containing essential oils of orange, mandarin orange and lemon. 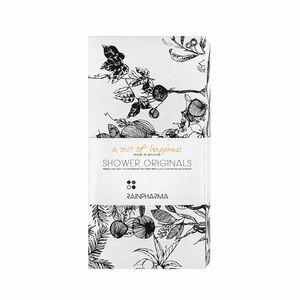 1) Shower gel (400ml) RainPharma Shower Gel is formulated on the basis of aromatherapy principles. It produces a generous lather but is completely free of chemical agents. You shower every day, so do your skin a favour with this mild foamy gel. You will be doing Mother Nature a favour too, since our Shower Gel is 100% environmentally friendly. 2) Shower Scrub (50ml) A mild shower gel and fine body scrub in a single product. One easy step to irresistibly soft skin. 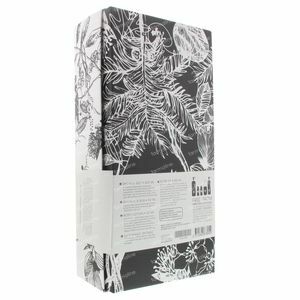 3) Body Lotion (50ml) RainPharma Body Lotion is a soothing, plant-based lotion for the entire body. Formulated on the basis of aromatherapy principles, it contains a balanced mix of natural oils to deeply nourish the skin and restore its natural balance. Its pleasingly light formula smoothes on easily, leaving the skin refreshed and happy. 4) Liu's Magic Sponge Maintain your skin’s natural balance. Use this magic sponge each day on your face and body, together with RainPharma’s plant-based cleansers. The result? Thoroughly cleansed skin that glows with health. A real detox treatment for a smooth and radiant complexion. 5) After Oil (250ml) Our best-seller. After Oil is a body oil to use in the shower – not for washing, but to feed the skin and keep it supple. After Oil is dry skin’s best friend. Apply it in the comfort of a hot shower, then simply dry off and you’re done. No need to apply body lotion: your skin is satin soft yet non-greasy, so you can get dressed right away.